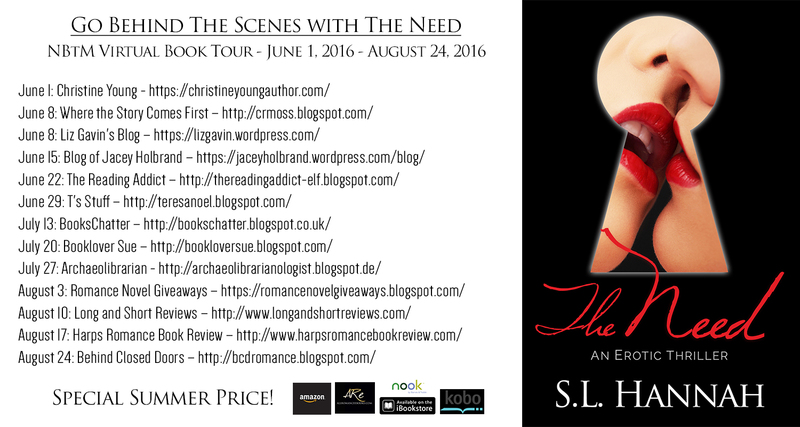 I am really excited to be doing another fun blog tour for The Need this summer. I got turned onto Goddess Fish a few months ago, and was excited by everything they had to offer. Based on their suggestion I picked the Name Before the Masses (NBtM) tour; 12 weeks, 12 different blogs, and a great way for new readers to get to know me and The Need. Plus, every time you comment you will be entered for a chance to win a paperback copy of The Need (U.S./Canada only for book) or a $20 Amazon or Barnes and Noble gift card. Winners will be drawn randomly via Rafflecopter during the tour: Enter the Rafflecopter Draw! I hope you all join along for all or some of this fun ride! And…one more thing. As part of this summer blog tour I am giving you all a summer discount on the ebook version of The Need. There are so many great opportunities to kick back with a book at the beach, park, campground, pool, that I wanted to give you even more incentive. Starting June 1, The Need will be on sale for $3.99 everywhere ebooks are sold. That’s a 20% discount off an already discount price for an entire day of reading entertainment. Cheers to the summer, lovelies, let’s make it a good one.